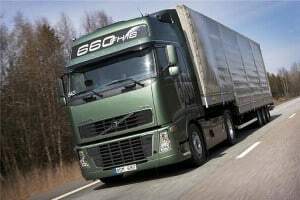 The Freight Transport Association (FTA) wishes to see more individuals that are leaving the UK armed services take up positions within the nation's logistics sector. FTA deputy chief executive James Hookham stated: "The logistics industry is looking for qualified, experienced and highly skilled people and it makes perfect sense to engage with service leavers, who can bring a wealth of skills to an organisation. "There are attractive and fulfilling careers in logistics across all business sectors and modes – including haulage, retail, construction, rail freight, shipping, air cargo, storage and warehousing, [as well as] journey planning and supply chain management." He made his comments at an event last Thursday (June 25th) held at Catterick Barracks and organised by the Career Transition Partnership. With a wealth of opportunities available to progress for those with the necessary skills and the industry crying out for professional drivers at present, a post-service career within the UK logistics industry could be an excellent choice for many. At present, the UK logistics sector employs approximately eight per cent of of the total UK workforce and plans are in place for operators to recruit a further 1.2 million additional employees by 2022. Logistics remains one of the UK's highest-growth sectors and the FTA is keen to see more new entrants to the industry in the years ahead.